Surrey – Get into the spirit of the holiday season by enjoying choral singing at City Centre Library. Throughout December, a variety of choirs will be performing on the grand staircase, highlighting the inspiring acoustics architect Bing Thom designed into the Library. 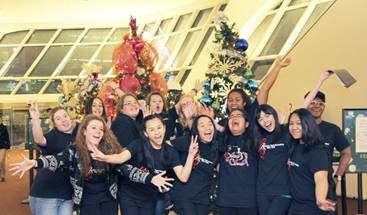 Be the first to comment on "Choirs at Surrey City Centre Library Throughout December"